Appetizers are taking over my kitchen you guys. I’m taking full advantage of football season to whip up new versions of all of my favorite classic finger foods. A couple of weeks ago I shared a slow cooker spinach artichoke dip that my family went absolutely nuts for. My sister swears up and down that it’s better than any restaurant version. And that’s really saying something because my family has probably tries spinach artichoke dip from at least 30 restaurants. Everyone loved it so much and it was so. darn. easy. that I decided to make another one of my favorites in the slow cooker and see how it turns out. 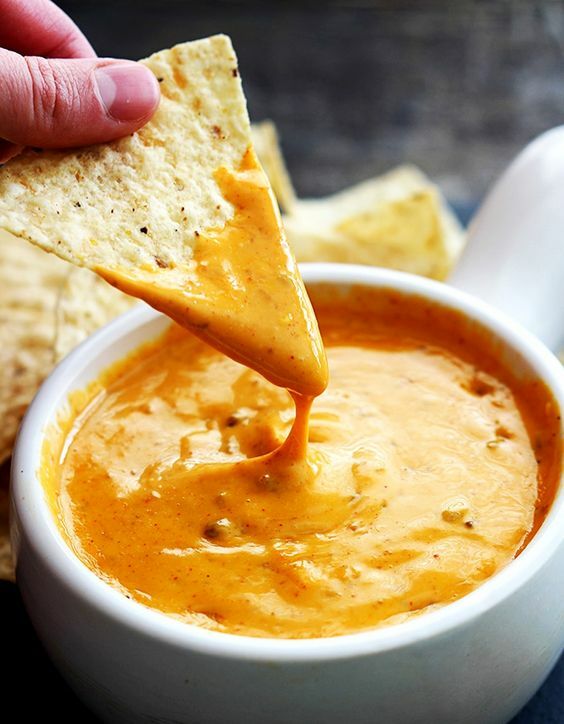 Copycat Chili's Queso that tastes so much like the original everyone will think you bought it at the restaurant! Just 5 minute prep and made in the crockpot! Cut velveeta cheese into cubes. (optional. If you don't, it will just take a little longer to melt, no biggie) Add all ingredients (except for tortilla chips) to slow cooker. Cover and cook on low for 2 hours or on high for 1 hour.